Walkin' The Dog was launched by Certified Dog Trainer, Mike Wiseman, in 2010. Mike saw the need for a professional, dependable service to help provide the physical and mental stimulation dogs need, but so often go without. Walkin' The Dog exists to provide the exercise, companionship and care your dog needs and deserves when you can't be there. 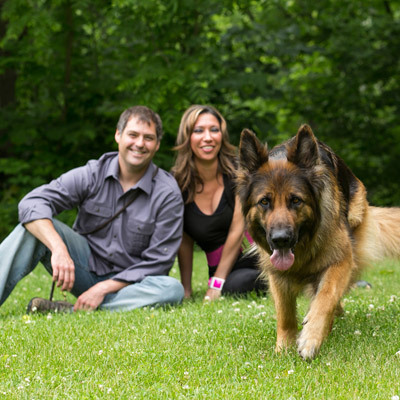 We are dedicated to the safety, wellness and happiness of our furry clients. Our focus is on providing reliable service and care so that you can have peace of mind. Providing frequent outdoor walks is the most important thing you can do for your dog's overall well-being. Dogs who don't get consistent, frequent outdoor exercise aren't fulfilled, and often develop behavior problems. That's where we come in. We provide mental and physical stimulation, companionship and socialization when you can't be there.